Ghostly International synth obsessive Com Truise (aka NYC-based producer Seth Haley) charts the journey of the world’s first synthetic astronaut into the outer reaches in his latest EP, Wave 1. Characterised by his signature blend of classic sci-fi and analogue textures, Wave 1 is the follow-up to his 2011 debut album Galactic Melt (2012's In Decay compiled earlier tracks) and is rich with hand-smeared electronica that's as if he's distilled an interstellar cloud into seven tracks. With explorations like these, it's hard to say where the limit lies for his future projects. Stream the release exclusively on Dazed below, and read our interview with Haley below, talking space exploration and new frontiers. Dazed Digital: Your second full-length album, In Decay, landed mid-2012. How did your approach change with Wave 1? 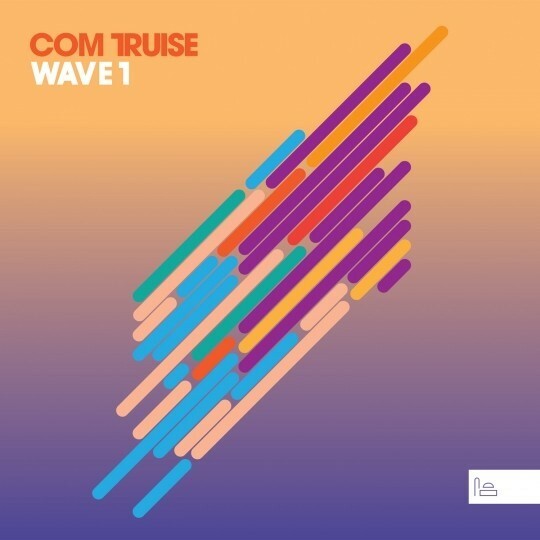 Com Truise: I wanted to include a much greater range of tempos, so I took inspiration from a huge range of artists – there’s some New Order in there, some Prince. I suppose I’ve got this narrative in my head and this is the part in the story where the music starts to change. It’s about the world’s first Synthetic Astronaut on this journey to a planet – each release represents the next stage in his journey. In this EP he arrives on a planet which kind of mirrors Earth but not exactly – there’s something eerie about it, something familiar but something peculiar as well. DD: Where did you get the idea from? Com Truise: I’ve always been a huge sci-fi fan. When I first started writing music I was thinking more visually about it and I kind of started building this story around some of the music that was written, it helps me write with some purpose because not much of it is inspired by my personal life. Sometimes it’s difficult to come up with something from nothing, but piecing things together from a narrative is easier. By the time I finished Galactic Melt I had a really good idea of the story I wanted to develop. DD: Ever thought about writing science fiction? Com Truise: Yeah I’m always open to it, I’ve always thought about it, and think it would be pretty cool. I’d probably lean towards making a short film rather than a book. DD: What other phenomenon have inspired this EP? Com Truise: I’m reading this book at the moment called Dead Mountain: The Untold Story of the Dyatlov Pass which was written by Donny Eichar – I’m obsessed with that story. I had to skip ahead to find out his theory of how it all came about – all those people being involved in an accident like that and still no one knows what happened. The author, Donny, got completely obsessed with finding out what happened, spent all his life-savings, almost left his wife, went to Russia and interviewed all the people that are still alive to try and piece things together. He re-did the exact journey. That level of dedication is inspiring. I’ve always been a UFO conspiracy theorist type of person. I guess the mystery forces you to think about what’s really out there, where we’re going where we come from, what’s really happening. No matter what anybody says we may never get to the bottom of it, the door’s always open, and I think that’s pretty fascinating. Wave 1 is out on February 18 on Ghostly International. Pre-order here.